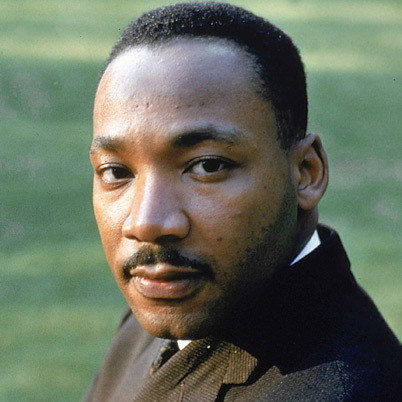 In a short article in the September 18 issue of The Christian Century, I learned that Dr. Martin Luther King Jr.’s famous “I Have a Dream” speech was not from a written, rehearsed text but was instead extemporaneous. The singer Mahalia Jackson stood near as Dr. King rose to speak at the 1963 March on Washington for Jobs and Freedom, and she said to him: “Tell them about the dream, Martin.” Hearing her, King folded up his prepared speech, put it away, and instead spoke from his heart. The result was one of the most famous, most quoted, most remembered, most cherished speeches of all time. Chances are, if he had ignored the prompting of his heart and read the text printed on the paper, the speech might have been a good one, but with nowhere near the impact and reach of the one he gave. So, can we say that “I Have a Dream” was impromptu? Not if we consider King’s background in faith and religious studies. The same Divinity Who said to Moses: “I will help you speak and will teach you what to say” [Exodus 4:12] and to the 12 disciples : “At that time you will be given what to say, for it will not be you speaking, but the Spirit of your Father speaking through you” [Matthew 10:19-20] could certainly have whispered the same message to Martin Luther King Jr. on August 28, 1963, on the heels of the exhortation from Mahalia Jackson.